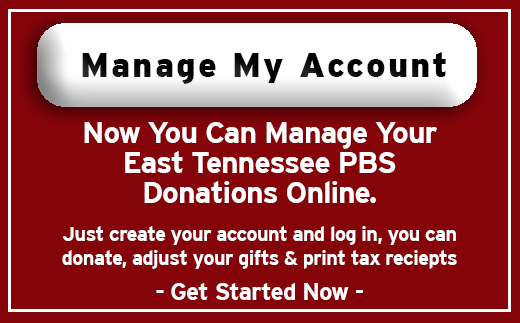 We invite you to become a sustaining member of East Tennessee PBS, with an ongoing automatic monthly gift (payable by credit card or Electronic Funds Transfer). It's easy and convenient for you, and it helps us save on paper and mailing costs, allowing more of your investment to go to the programs you love! 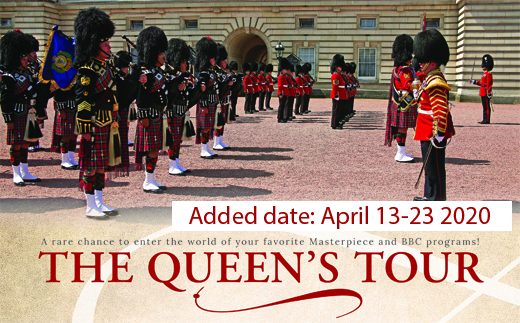 To become a member, renew your membership or make an additional gift, click "one-time contribution" below. If you experience any problems with the donate page or form, please call Gary Ellis at 865-595-0239 for assistance.